As a driver, it is important for you to take necessary precautionary measures to protect yourself and others from accidents. The unfortunate reality is that so many accidents these days are avoidable. Many vehicles, especially large ones, have blind spots that can cause the driver to hit something, or worse, someone. 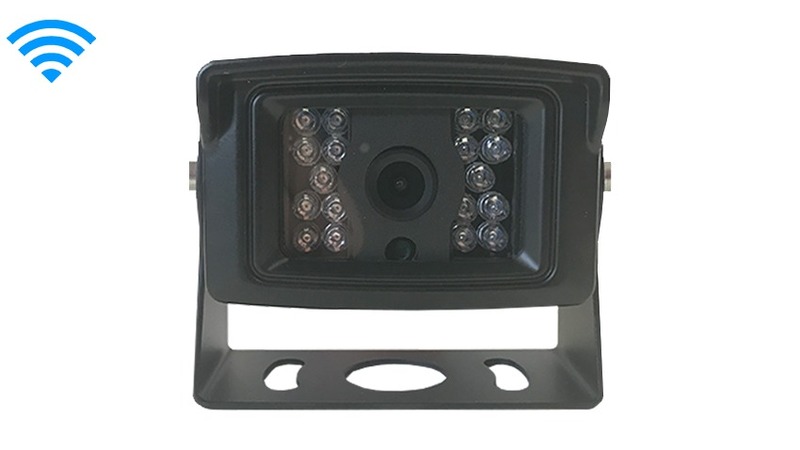 Installing a 120° Heavy Duty RV Backup Wireless Camera is a simple, affordable and extremely effective way to ensure that an avoidable backup accident never happens to you. At Tadi Brothers, you can expect to find the highest-quality backup cameras without having to pay the premium prices found elsewhere. We hold each and every one of our products up to the highest professional standards, so you can be sure that you will receive a product that will withstand the test of time. The 120° Heavy Duty RV Backup Wireless Camera is built to last, with a durable casing that will survive everything from a fender bender to a hit from a rock gone rogue. Of course, an outdoor camera needs to be able to withstand any kind of weather, and the 120° Heavy Duty RV Backup Wireless Camera certainly has no problem with that. Whether it is sunny and clear or hailing at night, this 100% weatherproof camera continues to perform. Reliability is an extremely important factor to consider when purchasing a backup camera, and we sell this particular camera because we know that it will not let our customers down. The 120° Heavy Duty RV Backup Wireless Camera is a cutting-edge piece of machinery that packs all the modern features and technology that you would expect from a Tadi Brothers product. This is not some outdated camera with grainy, indiscernible picture quality. The vivid color monitor makes sure that you can see exactly what is behind you in striking detail. The military-grade night vision makes backing up in the dark a breeze. This camera can even be wireless up to 70ft, or you can simply hook it up to your vehicle's power. There are plenty of ways you can use this versatile camera. Of course, mounting one on the top of your RV will solve any backing up issues you might have. However, many RV owners prefer to buy multiple cameras so that they can see from all angles at all times. The convenient, minimal design makes it easy to install multiple cameras on the sides and back of your RV. All Tadi Brothers backup cameras, monitors and car DVD players are compatible, so building your own custom system is simple. Just give us a call and our friendly and knowledgeable staff will be happy to assist you. Technology is changing the way that we live. Many people now spend a lot of time in their vehicle, so it simply makes sense to outfit yours with the latest safety technology. Having a quality backup camera can prevent unfortunate accidents, while also making your life easier. If you own a large vehicle like an RV, a backup camera is a critical upgrade that all responsible drivers should have. Purchase this quality unit today so that you can prevent needless accidents tomorrow. Call us or simply place your order online now.